Monday kicked off the third annual Bike to School week. Kids and families at ALPHA Alternative School (at King and Brant Street) have come to love this event and have seen a lot of change in their commute since Bike to School events began two years ago. 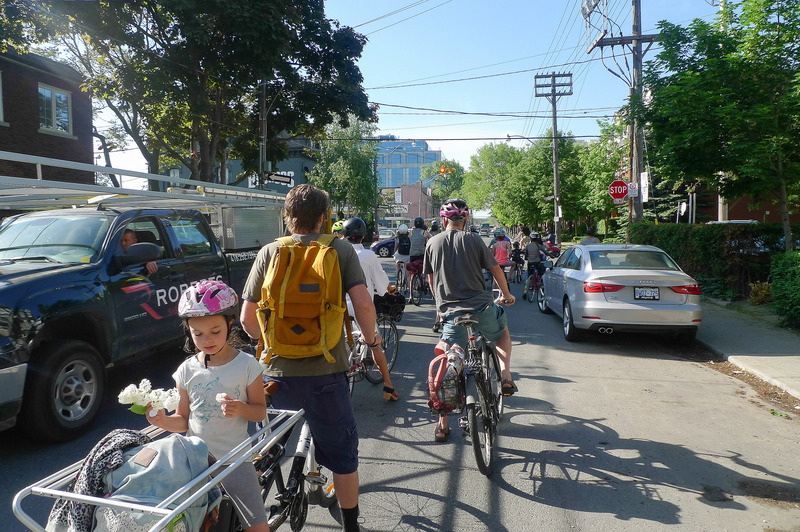 Back in 2014, families had to compete with pot-holes, construction and traffic as they biked to school on the Adelaide-Richmond roadway. This all changed in 2015, thanks to the much needed installation of bike lanes along the same path. 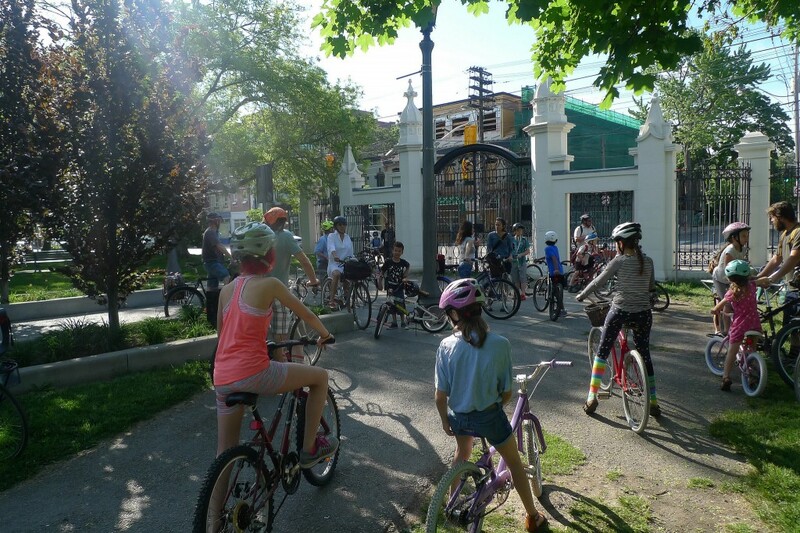 That same year saw Bike to School Day grow into Bike to School Week, encouraging schools and communities to build on the bike-to-school fun with other bike-friendly activities, like in-school bike clinics or bicycle rodeos. 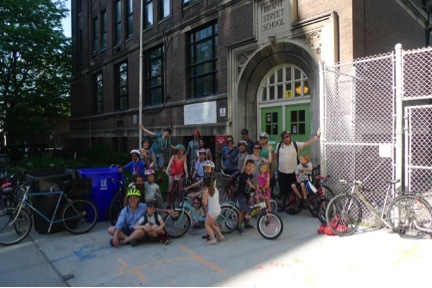 More than 80 Toronto schools, and 10,000 Toronto kids, participated in Bike to School last year. 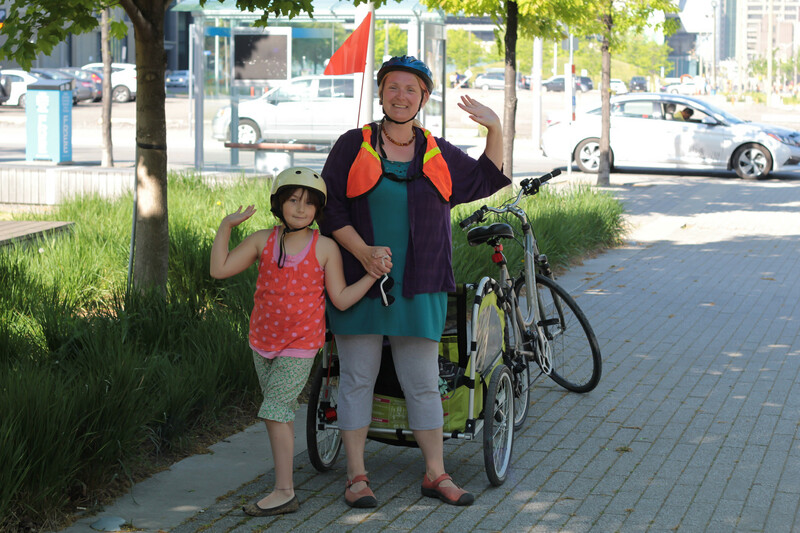 For ALPHA, the big change in Bike to School 2016 was the ability to include a pioneering east-side family in the community ride to school, thanks to the city’s new bike lanes. 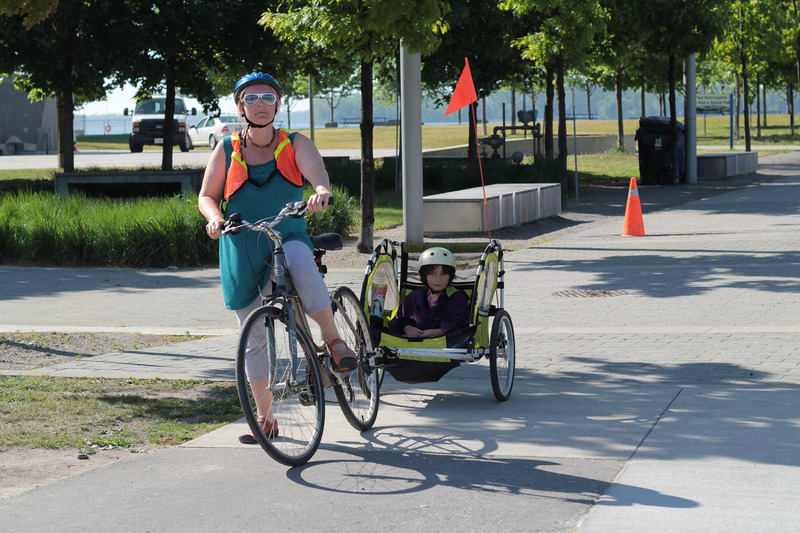 This family started their commute at Sherbourne Commons, cycled along the waterfront to Simcoe to arrive at the Richmond bike lane extension that was installed late last year. The ride was not without its share of detours and bumps, thanks to ongoing construction in the area. 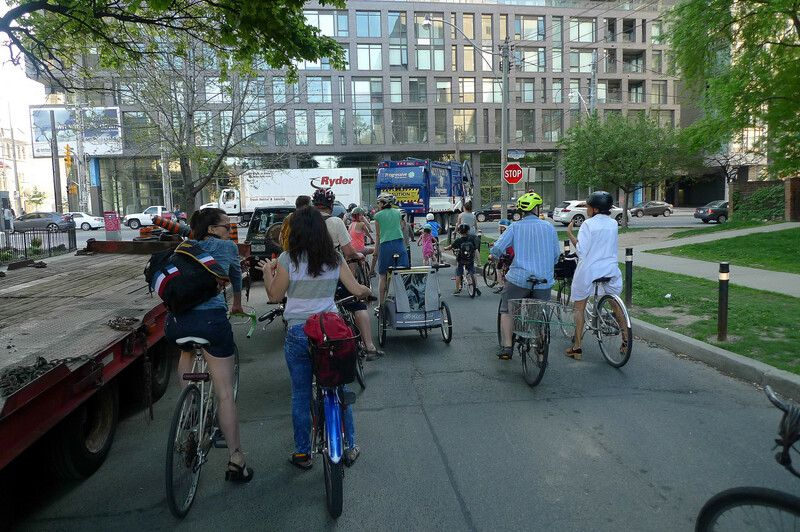 But it was fun, successful, and an illustration of the value of the city’s new biking infrastructure to Toronto families. At ALPHA, we’d ultimately like to see all families have a chance to participate in Bike to School. 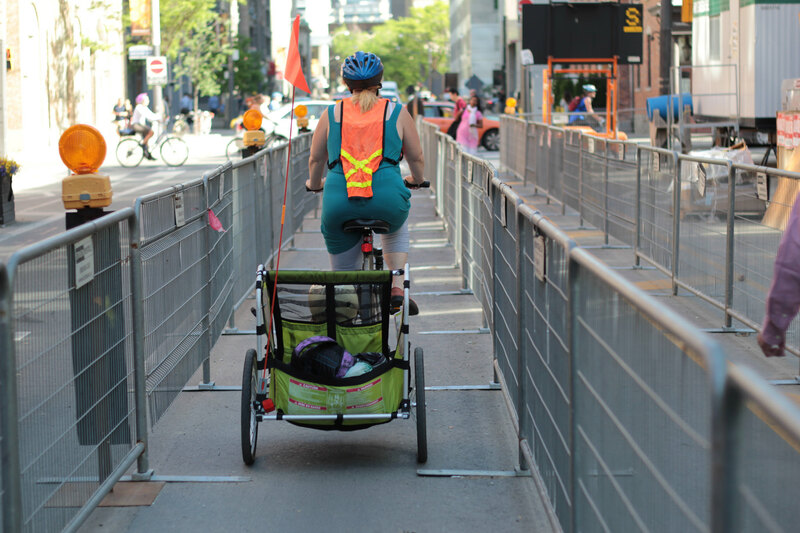 With bike lanes on the Waterfront complete and an end to some of the downtown construction, ALPHA should see more families from the east be able to join us in 2017. And while the downtown cycling infrastructure to the West of ALPHA may be relatively more accessible, it can still be improved. For example, my own family is waiting, very excitedly, for the extension of the West Rail Bike path to the downtown core. Will it be ready by Bike to School Week 2018? Time will tell, so stay tuned! Coming in June! Our new issue of dandyhorse includes cover art by Kent Monkman, interviews with Catherine McKenna and the women behind Toronto's first feminist bike zine, lots of news and views on Bloor, Under Gardiner and the West Toronto Railpath and much, much more! Get dandy at your door or at better bike and book shops in Toronto.